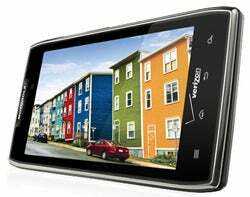 Verizon Wireless is activating GSM roaming capability for the first time on LTE handsets, turning on radios that were already built into the Motorola Droid Razr and Droid Razr Maxx. Verizon has the biggest 4G LTE footprint in the U.S., but its 4G phones so far have been limited when users traveled overseas. For roaming, they have relied on 3G CDMA technology, which reduced their travel range to about 40 countries. Now, along with an upgrade to Android 4.0, or Ice Cream Sandwich, Verizon is pushing out software that activates the GSM radios in the two Motorola smartphones. As soon as subscribers get the update, which started going out Friday, they can use international roaming in about 150 countries. Occasional travelers can talk on foreign carrier networks at rates ranging from $0.69 per minute in Canada to $4.99 per minute in Kenya, Sri Lanka and several other countries. A $4.99-per-month Value Plan reduces those rates. Data roaming, on networks with speeds up to 3G, costs $0.02 per kilobyte or $20.48 per megabyte in most countries, or $25 per month for 100MB. Subject to restrictions, Verizon can also allow subscribers to go to a foreign carrier and buy a new SIM card to replace the one in their Razr or Razr Maxx, spokeswoman Brenda Raney said. They would then pay the foreign carrier's rates, while also relying on that carrier for support, she said. Verizon subscribers can't use the phones on GSM-based carriers in the U.S., she said. The two Motorola phones are equipped with radios for GSM in the 850MHz, 900MHz, 1800MHz and 1900MHz bands, and for 3G HSPA in the 850MHz, 900MHz, 1900MHz and 2100MHz bands, Raney said. Verizon offers several 3G CDMA handsets that include GSM "world phone" capability, but the Razr and Razr Maxx are its first LTE phones with this feature. Verizon said it plans to offer more global phones in the future, without giving details. Despite most 4G carriers around the world converging on LTE as their technology of choice, it's likely to take years for roaming on that high-speed system to take shape. The frequencies that different operators are using for LTE are too varied, industry observers say. The international industry group Next-Generation Mobile Networks is trying to foster consensus on a few bands where LTE could be available in many countries, but regulatory and business needs make that a complicated task, executives said last week at the NGMN's annual conference in San Francisco. 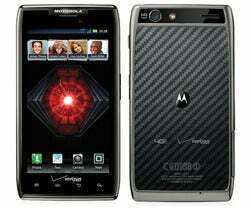 The Droid Razr was introduced in November 2011 and the Droid Razr Maxx in January 2012. Subscribers probably have been waiting this long for global roaming capability because the software wasn't ready when the phones first shipped, said analyst Avi Greengart of Current Analysis. International roaming typically isn't a high priority, because only a minority of subscribers use it, he said. "International roaming is one of those things that is not important broadly," Greengart said. Most U.S. mobile subscribers don't leave the country, and most of those who do only need voice service when they travel. But some business users need both voice and data overseas, and those tend to be higher level executives, he said. "The most important thing about these executives is that the ones who travel the most are often the ones ... in senior positions who can then mandate that other people in their firm use Verizon," Greengart said. Subscribers on corporate plans, like those on family plans, are especially valued because they are less likely to switch carriers, he added.